The orientation course with 100 UE *. In the language course, the participants learn the German language up to level B1 of the Common European Framework. In this way, they are able to cope with everyday life. In the orientation course, the participants receive information about the legal order, history and culture of Germany. In addition, the participants learn in an orientation course which values are particularly important in Germany. Special classes (For people who have been living in Germany for a long time, who have incompletely learned the German language). Intensive courses for fast learners with a total of 430 teaching units * are also offered. Asylum seekers with a good perspective, who has a residence permit pursuant to section 60a (2) sentence 3 of the Residence Act as well as holders of a residence permit pursuant to section 25 (5) of the Residence Act. From January 1, 2017, asylum seekers with good prospects of remaining in Germany, may be obliged with a residence permit according to § 60a (2) sentence 3 residence law as well as holder of a residence permit pursuant to section 25 (5) of the Residence Act by the institutions of the Asylum Seekers’ Benefits Act to take part of an integration course. All participants must complete a grading test before starting the course. On the basis of the test results, the respective person is assigned to a specific course module. If necessary, a visit to a special integration course is recommended. The language course ends with the “German Test for Immigrants” (DTZ), the orientation course with the test “Living in Germany” (LiD). Participants who have successfully passed both tests will receive the “Certificate Integration Course”. If you do not pass the language despite a proper course, you can repeat a maximum of 300 hours of the language course and participate again free of charge. 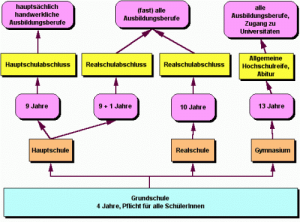 In the literacy course it is aimed at coming very near to the aim of the functional literacy of the participant and at providing at the same time German knowledge, at strengthening the social integration ability of the participant by autonomy supporting and in lastingness oriented teaching methods, at acquiring German knowledge at the level of the elementary language use (according to the GER), as a rule up to the level A2 and if necessary, in addition. 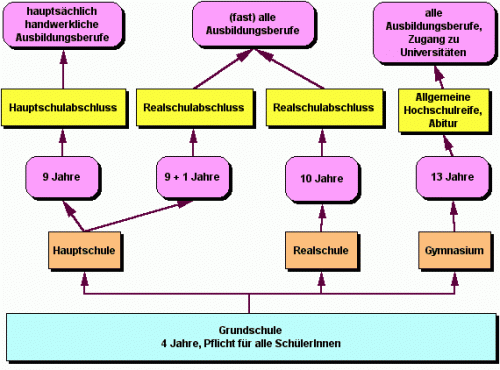 JobZENTRALE und JobNEWS für den Landkreis Kusel – The regional job exchange of the district Kusel with offers in different languages.